What are stunningly delicious dishes where eggs play the star role? For the purposes of this question, assume access to any possible ingredient, a nearly unlimited budget, and a willingness to follow a complicated recipe. At the risk of being painfully obvious, poached eggs are really great at showing off great, high-quality eggs. It's what I almost always do with super-fresh eggs. The Cooks Illustrated technique is excellent. Marco Canora's egg and tomato bruschetta seems like nothing on the page, but is amazingly delicious if you use really good ingredients. Bacon egg and cheese biscuits aren't the same without eggs. In a much different sense as though it were lacking bacon or cheese. There is a local Minneapolis restaurant (Bar la Grassa) that has a bruscetta with lobster and soft eggs thing. I swear to this day it is the best thing I have ever put in my mouth. I will also vouch for shakshuka. Asparagus with poached egg and miso butter is a seasonal favorite around here. Don't overlook the humble deviled egg, which can be dressed up in a million ways and never fails to satisfy. If you have access to really fresh eggs, as in laid that morning, then scrambled eggs. I'm sure you'll get fancier options, but I love scrambled eggs with cream cheese and green onions and/or chives. If you have some cottage fries or a little smoked salmon to go along with them, more's the better. And I don't know if you would consider this a "starring role," but eggs are what add the distinctive, rich mouthfeel to homemade French vanilla ice cream (that recipe calls for eight eggs!). Here is a recent favorite of mine where poached eggs are the star. Layer 2: escarole or frisée that's been tossed with a mild citrus vinaigrette. You can add a tiny bit of coffee or espresso to the vinaigrette. Things I do with very fresh eggs: poach and serve on buttered toast, poach and serve on a "delicate" salad," simple omelettes with herbs, soft-boiled in an egg cup with salt... "Modernist Cuisine" has an excellent page on what happens to an egg as it's cooked; here are the images -- too small to read the text, but still of use. I love this recipe - Jacques Pepin's Eggs Jeanette. Delicious but may make your kitchen smell like sulfur. 1000% agreed, but beware! We Americans often mistakenly make them in store-bought pie tins. They're too shallow, and if you do that you will almost certainly overcook it. Which won't taste awful or anything, but you won't get the true custard-y velvety goodness of a properly made quiche. You want a ring mold or cake pan at least 2" deep. Bon appetit! Huevos Rancheros are one of my favorite things on earth. Here's Smitten Kitchen's version. I was thinking of shakshuka when writing this question, actually. All of these suggestions are great, I really liked kmennie's suggestions since they suggest dishes that are a little less well-known. Kedgeree sounds great, and I had forgotten about doro wot, which I really love. I can't remember if this is traditional or not, but I put a small dice of potato in mine. This is a Christmas morning tradition in my home. I haven't made these, but ran across the recipe while looking for a different one. Shirred eggs with sausage & spinach there's a couple different variations i saw, but i think they look pretty & sound delicious. Spaghetti Carbonara. The CI recipe I linked to calls for bacon, but guancainle is traditional, if you can get it. For a more casual, uncomplicated approach with eggs, I enjoy Kaylyn's Egg Muffins. Make a batch and store them in a plastic bag in the fridge. They are a quick, filling and nutritious breakfast on the go. Just nuke two muffins for a minute, then grab them and out the door. Yum. I made a pretty good burmese egg curry the other day from Naomi Duguid's Burma book. Basically a simple tomato & shallot sauce spiked with green chile, chili oil, fish sauce and tumeric and hard boiled eggs that are browned in tumeric colored oil. I get eggs just laid that morning (from a local chicken farm) but I disagree that a simple fried or poached egg is all that can be done with it. But I also agree that the best egg dishes do not require tons of work. -Huevos Machaca is absolutely delicious and simple to make. Most I've had looks like this. It is basically a scramble. -My dad makes the best whipped omelette. I haven't seen a recipe but this involves emptying the eggs into a bowl and then whipping the eggs until they are fluffy. Then pour it into a pan and add onions and peppers. Then you just make an omelette but one that feels light rather than heavy and the peppers and onions stand out. Make a couple soft-boiled eggs. The yolk should be firm but still a bit runny. Meanwhile, in a pan, combine butter, olive oil and gently fry onion and garlic. Add parsley too. Add a bit of flour. Add light stock or water. You're making a creamy sauce. Pour this sauce over the eggs, which have been halved or quartered. A favorite at our house is souffléed omelette, or as we usually call it, "puffy eggs". It is very easy, delicious, and a bit fancy. 2. Separate the eggs -- yolks into a small bowl, whites into a medium-large bowl. 3. Add 2 tablespoons of water, a fat pinch of salt, and a few grinds of pepper to the yolks and stir with a fork. 4. Beat the egg whites with your whisk until they form firm, but not dry, peaks. 5. Melt the butter in the pan over medium-low heat. While it's melting, fold the yolks into the whites. 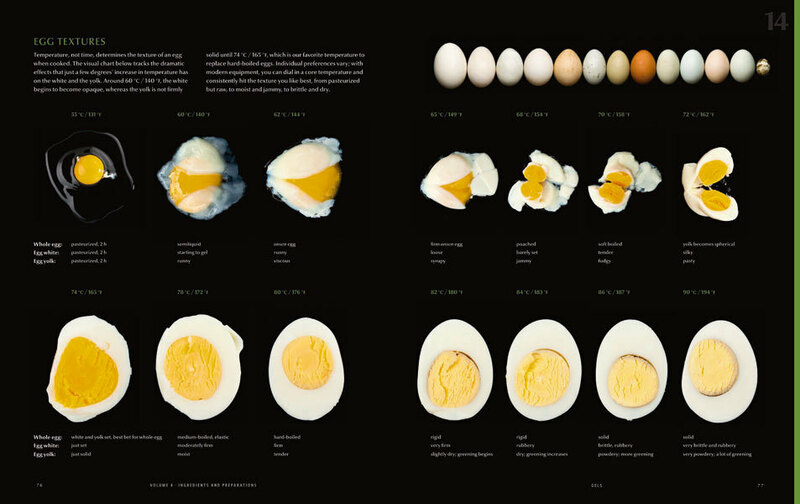 Be gentle about it but make sure all the yolks are indeed mixed in, so you have a uniformly light yellow mixture. 6. When the butter begins to foam, pour/mound the eggs into the pan. Let cook for just a moment to set the bottom, then put the pan in the oven. 7. Bake for about 12 minutes, until cooked through, puffy, and golden. We then grate some parmesan over it and have it cut into wedges (I slide it out of the pan onto a cutting board and cut it with a pizza wheel; a chef's knife or serrated knife would also work fine). Yotam Ottolenghi's Shakshuka is much more bell pepper based (though there are some tomatoes in it. It is soooooo so tasty. I also love the Smitten Kitchen tomato-based version. If you've never tried making scrambled eggs the French way (very slowly, with constant stirring, in a bain-marie), you owe it to yourself to try. They come out deep gold, unctuous and delicate, and completely unlike what I grew up thinking of as "scrambled eggs". The better the eggs, the better the results. You know, it occurs to me that this whole thread is savoury dishes, but of course eggs are tremendously important to desserts as well. You might try a creme anglaise (custard) for yolks, and then make a pavlova with the whites. Or lemon meringue pie --- same idea, but of course the lemon flavour in the curd does dominate the eggs in the filling. Eggs can be substituted for a lot of meats from my experience. I need a diet rich in protein and I don't always have the time (or money- especially back in college) to use meat. These are quick meals that I usually make for myself. For larger dinners I usually use meat. - You can make any sort of soup you want and add eggs. Egg Drop Soup is of course a traditional Asian dish, but I have made egg soup with a variety of frozen vegetables and chicken/beef stock. I add spices and sometimes cream or milk too. It's also pretty quick. - This may sound weird, but really, it's good! Similar to tofu - eggs soak up sauces and flavors really well. I scramble a couple eggs and add frozen vegetables. Once they are all cooked/heated through I usually add sauce and/or spices. The cool thing about this dish is you can really change up the flavor with the spices you add. For instance adding an All Spice or Italian seasonings will give it a different flavor than if you add soy sauce or sweet and sour. Empanadas almost always include chopped hard boiled eggs in the filling. I've been meaning to try an egg curry which looks good too. Baked eggs in eggplant kasundi. I have no idea how to make it because I go out and pay for someone to make it for me and it is amazing. 1) Char the peppers (basically, stick them directly into flame) and slide the skins off before seeding/chopping them. I like the smokiness this adds. 2) Smoked paprika's great in this, for similar reasons. 3) I've liked the results of cooking the tomato/pepper/onion/etc mixture for closer to 60-90 mins at low heat, then running it through a food mill (medium disk) before putting it back into the pot with chickpeas. (The SK recipe doesn't include chickpeas, but many others do.) This is usually a pretty rustic dish, but I think it's better without the tomato seeds. The extra cooking time means you're not losing much of the chile/onion flavor when you remove most of the solids here. Both creme brulee and ice cream use lots of eggs! Make some sort of deviled eggs (lobster?) with homemade mayonnaise! And I like the kedgeree from the Two Fat Ladies. Had this for the first time tonight. It was incredibly simple, delicious, and comforting. I added a little spicy bean paste into the broth, and it was divine! There's no hard and fast recipe. You need some little ramekins. Put a little bit of butter in the bottom. Then you can layer chopped vegetables (I like spinach, mushrooms, onions and bell pepper, not necessarily all at once), a single egg, a bit of cheese (I favor goat cheese or cheddar) and even a teeny splash of cream if you like. Make sure the egg is not the very top thing - best to have a thin layer of cheese. Bake the cups in the oven at 350 until they are as done as you desire - shouldn't take more than 15 minutes max. They are incredibly easy to make and delicious. I'm vegetarian but I'm sure you could put various meats in the dish too. I am contractually obliged to mention clafouti.